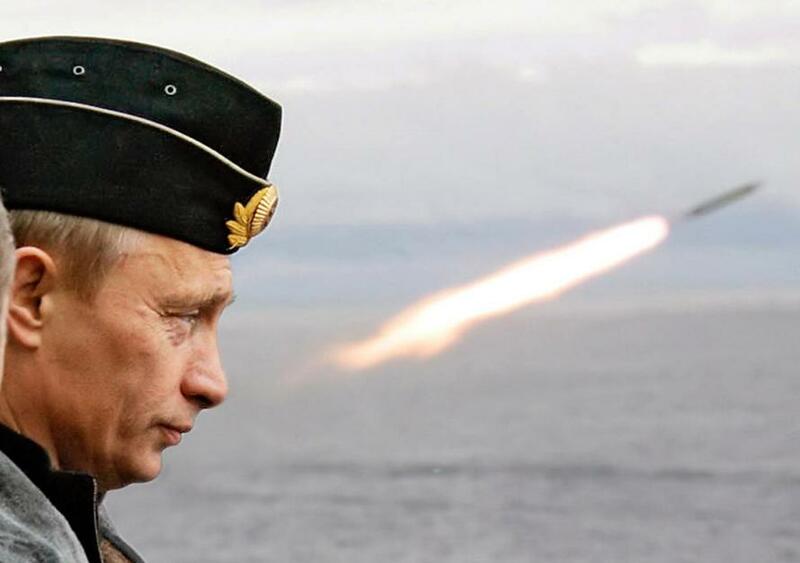 So now the race is on — a dangerous new Cold War style arms race between Russia and the United States that is. Reuters has issued an alarming report which highlights "Russia will race to develop two new land-based missile launch systems before 2021 to respond to Washington’s planned exit from a landmark nuclear arms control pact, it said on Tuesday." The Intermediate-Range Nuclear Forces Treaty (INF) effectively collapsed over the weekend following the US announcing Friday that it's suspending all obligations under the treaty. Predictably Moscow's response was swift with President Vladimir Putin saying in a Saturday meeting with his foreign and defense ministers that Russia will now pursue missile development previously banned under its terms. 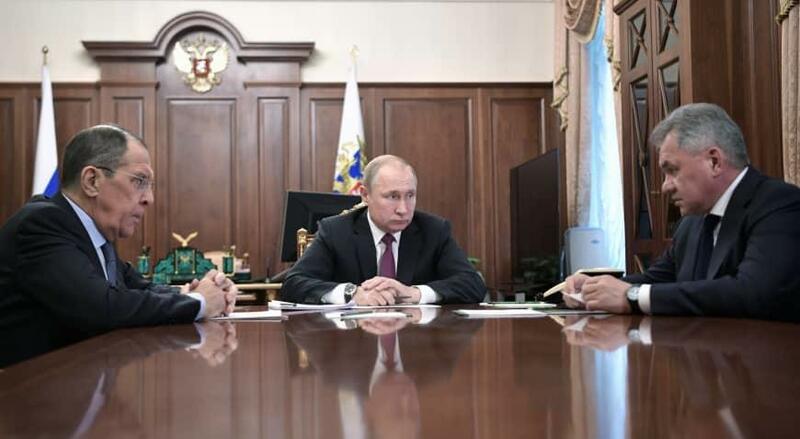 Saturday meeting over the INF at the Kremlin between President Vladimir Putin, Foreign Minister Sergey Lavrov (left) and Defense Minister Sergei Shoigu, via Sputnik. “This is Russia’s final opportunity to return to compliance,” Wood said; however, this clearly doesn't appear much of a humble open-handed invitation urging Moscow to return in good faith. It now appears both sides are hardening in their position, which doesn't bode well for a potential future return of a Cold War style arms race. Indeed it appears to have already begun.